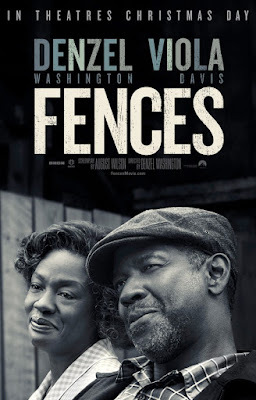 Fresh off my viewing of Elle and my rant on the lack of complicated characters for women, I watched Denzel in all his tortured glory in this big screen adaptation of Fences. 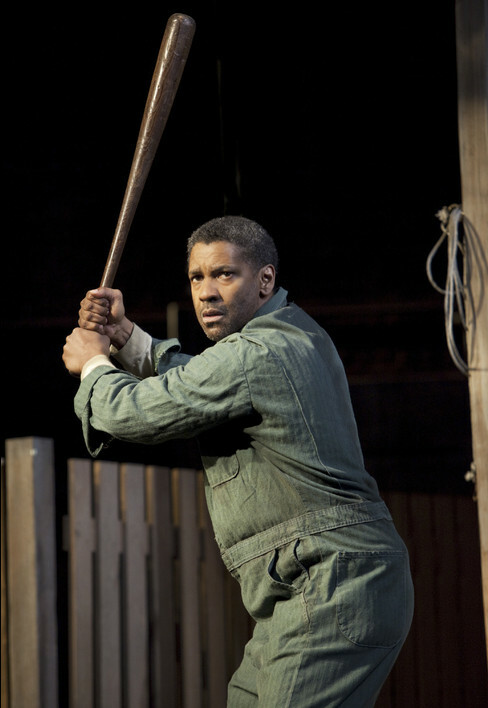 And if there is one thing Denzel does well, it's playing a guy who is neither all good nor all bad. Here, he is a man in mid-life, worn down from the prejudices of growing up in the early 1900's and the gruel of hard work and a hard life. He is angry, he is bitter, but he is doing the best he can. Or so he claims. I can buy into the fact that he is a complicated man. 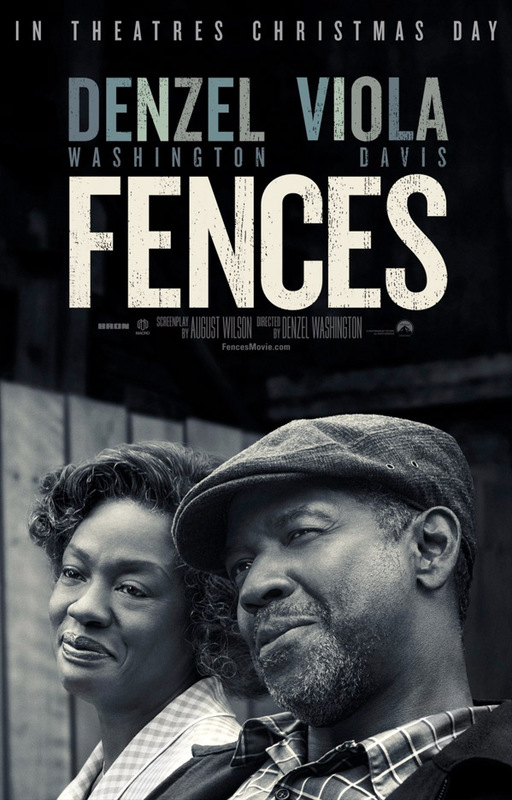 As the story unfolds, we learn about the hardships he has faced, and considering the story takes place in the 1950's, I can only imagine the additional barriers a black man would encounter. He has a lot of reason to be bitter and angry. And for awhile, I pondered the generational tensions at play, with his desire to protect his son from the racial prejudices of society, played against the youthful optimism of a boy who only sees things getting better. And the timing of a story like this, set immediately before the Civil Rights Movement, gave an additional dimension of relevance to the present day. Where the story lost me was in the reverence of Washington's character. Was he interesting? Yes. Was he captivating? Yes. Was he ultimately a good man who was trying his best? Hmmm. If the movie hadn't tried so hard to push the narrative of an obviously flawed and selfish man as someone worthy of appreciation, I might not have had anything negative to say about it at all. The performances, of course, are paramount. 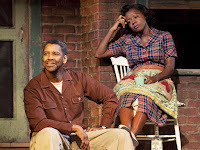 Based on a play, the dialogue-driven drama would be nothing without the acting prowess of Washington and Davis as married couple Troy and Rose. They are both believable in the roles, as well as believable as a couple. And it's great that while Washington commands much of the screen time as the loud, angry, and overbearing presence, Viola Davis was honored with an Oscar nomination for her part as the stifled and overshadowed housewife. The dynamic between the two is what makes the movie work and both should be equally recognized. Even the lesser-seen characters like, Stephen Henderson (Troy's friend Bono) and Mykelti Williamson (Troy's brother Gabe), are excellent. 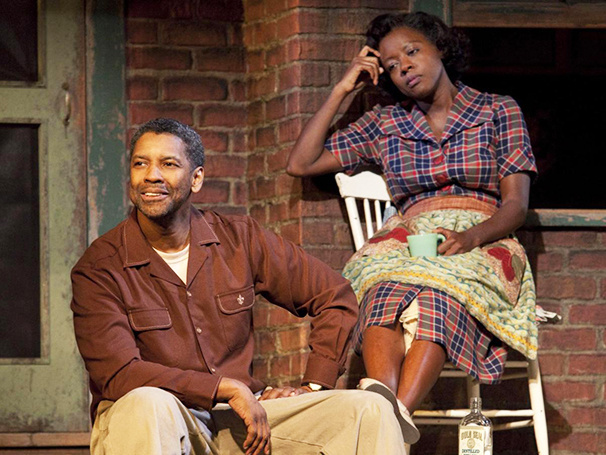 Literally the only thing I can complain about in the performance department is Viola Davis' nose when she's crying. I mean, would it kill the woman to use a tissue?!? She is the grossest crier I have ever seen. It can be difficult to translate a stage play into a movie because it can lack the intensity of an enclosed set, but I think it was successful here. I also think that due to the powerful performances of its stars, this movie will hold up well over time. It will never stop being relevant, and when Denzel finally retires, critics will point to this performance as one that highlights perfectly his strengths as an actor. If only the ending had been different. Final word: Flawed, but powerful - just like the characters in the movie.